Dubhe capitalised on a step up in trip when beating Red Galileo as the Godolphin duo dominated the finish to the two-mile turf handicap on week six of the Dubai World Cup Carnival at Meydan, UAE, on Thursday, 7 February. Four-year-old Dubhe (Charlie Appleby/William Buick) raced in third of the six runners before moving up to dispute second heading out onto the second circuit, with eight-year-old Red Galileo (Saeed bin Suroor/Christophe Soumillon) held up as the clear fourth. Dubhe travelled strongly to hit the front with over a furlong and a half remaining and quickened well as Red Galileo tried to challenge. The two Godolphin runners, both by Darley stallion Dubawi, went clear, with Dubhe finding plenty in front to come home four lengths ahead of Red Galileo in 3m 20.88s on good turf, with another eight and a half lengths back to the front-running Jukebox Jive. 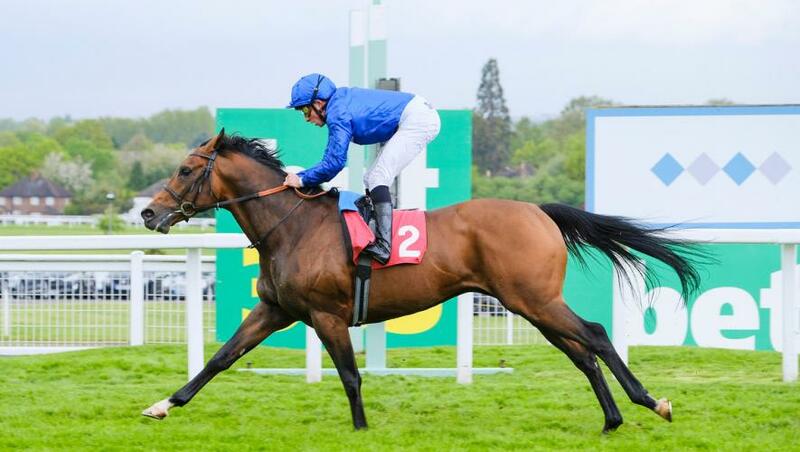 Charlie Appleby said, “We were hopeful that Dubhe would cope with the step up to two miles – he has been showing all the right signs and he has the pedigree to stay it. “We always thought staying was going to be his game. “I thought that he looked fantastic in the paddock this evening and he was getting plenty of weight from the rest of the field. “A couple of my Carnival horses, including Dubhe, had a decent lay-off since their latest starts in Europe and Dubawi offspring generally take a bit of work to get them fit. “Dubawi seems to get horses over all trips – he can produce a good six-furlong horse and a nice two-mile stayer like this as well. William Buick added, “Fair play to Charlie, who always felt that Dubhe would stay. Red Galileo sets a very good standard and I was quite impressed with Dubhe. “He has obviously come forward for his last run and he put up a good performance up in trip. “We were never going to ride him conservatively – he was either going to stay or he wasn’t – and I thought that he showed a turn of foot with it, so that’s a good attribute for a stayer.